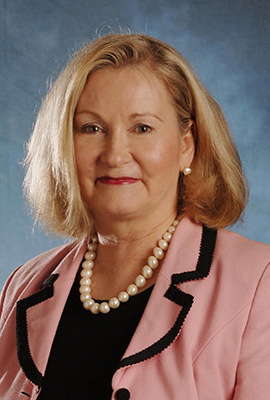 Camilla E. Watson joined the University of Georgia School of Law faculty in 1989. The holder of the Ernest P. Rogers Chair of Law, she teaches in the areas of federal taxation and criminal law. She has published widely in the area of federal taxation, including a number of articles, two casebooks and two study guides. She is the author, with Brookes Billman, of the leading casebook Federal Tax Practice and Procedure: Cases, Materials, and Problems, 2d ed. (Thomson/West, 2011). She is also the author of a nutshell, Tax Procedure and Tax Fraud, 4th ed. (Thomson/West, 2011) and Federal Income Taxation (Oxford University Press, 2011), which is part of the series Model Problems and Outstanding Answers. One of her more recent articles is "Reforming the Tax Incentives for Higher Education" appearing in 36 Virginia Tax Review 83 (2017). Watson has been active in the Association of American Law Schools, serving as the founding chair of the Section on Employee Benefits. While in private practice, she was a member of the Federal Tax Council of the Illinois State Bar Association. She is a member of the Illinois, South Carolina and Mississippi bars. During the 2013-14 academic year, she served as the faculty coach for School of Law students competing in the American Bar Association Law Student Tax Challenge. The students won the national title during the school's first year of participation in this annual contest. Watson earned her bachelor's degree from Converse College and her law degree from the University of Mississippi, where she served as research editor and comments editor of the Mississippi Law Journal. Her LL.M. in taxation is from New York University. In addition, Watson earned a master's degree in microbiology from the Medical University of South Carolina. The Future of Lower Income Students in Higher Education: Rethinking the Pell Program and Federal Tax Incentives, 45 Fla. St. U. L. Rev. 1107 (2018). Reforming the Tax Incentives for Higher Education, 36 Va. Tax Rev. 83 (2017). SFRs and Problems in Tax Administration and Enforcement, 146 Tax Notes 363 (2015). Reflections on the Life and Times of Alan Watson, 41 Ga. J. Int'l & Comp. L. 719 (2014). Legislating Morality: The Duty to the Tax System Revisited, 51 U. Kan. L. Rev. 1197 (2003). Tax Lawyers, Ethical Obligations, and the Duty to the System, 47 U. Kan. L. Rev. 847 (1999). Equitable Recoupment: A New Light on an Old and Inconsistent Remedy, 65 Fordham L. Rev. 691 (1996). Machiavelli and the Politics of Welfare, National Health, and Old Age: A Comparative Perspective of the Policies of the United States and Canada, 1993 Utah L. Rev. 1337 (1993). Broken Promises Revisited: The Window of Vulnerability for Surviving Spouses under ERISA, 76 Iowa L. Rev. 431 (1991). The Pension Game: Age- and Gender-Based Inequities in the Retirement System, 25 Ga. L. Rev. 1 (1990); reprinted in 7 Lab. Law. 159 (1991). Civil Rights -- Federal Jurisdiction -- Exhaustion of Adequate and Appropriate State Administrative Remedies is a Prerequisite For Judicial Review Under Section 1983, 51 Miss. L.J. 283 (1980) (student note). Tax Procedure and Tax Fraud in a Nutshell, 5th ed. (West Academic Publishing 2016). Federal Tax Practice and Procedure: Cases, Materials and Problems, 2d ed. (Thomson/West, 2011) (Teacher's Manual, 2011). Tax Procedure and Tax Fraud in a Nutshell, 4th ed. (Thomson/West, 2011). Federal Income Taxation (Oxford University Press, 2011) (Model Problems and Outstanding Answers series). Tax Procedure and Tax Fraud in a Nutshell, 3rd ed. (West Group, 2006). Federal Tax Practice and Procedure: Cases, Materials, and Problems (West Group, 2004) (with Brookes D. Billman, Jr.) (Teacher's Manual 2005). Federal Taxation of Deferred Compensation Plans (Commerce Clearing House, 1989) (with Michael H. Hoeflich). "Computing and Paying the Withholding Tax" in Federal Tax Series (Matthew Bender, 1989). Symposium: Tax Compliance: Should Congress Reform the 1998 IRS Reform Act?, University of Kansas Law Review, Lawrence, Kansas, 2003. Ethics in Tax Practice. Symposium on Professionalism in the Twenty-First Century, University of Kansas Law Review, Lawrence, Kansas, 1998.